Whether you’re a teacher looking at a stack of papers to check and grade, or a student who’s pulled multiple all-nighters and needs to make sure you didn’t accidentally copy and paste an entire paragraph of your source material, you need a quick way to check for plagiarism. And there’s no better, no quicker, no easier way to do this than with today’s discount software promotion, Plagiarism Checker X! 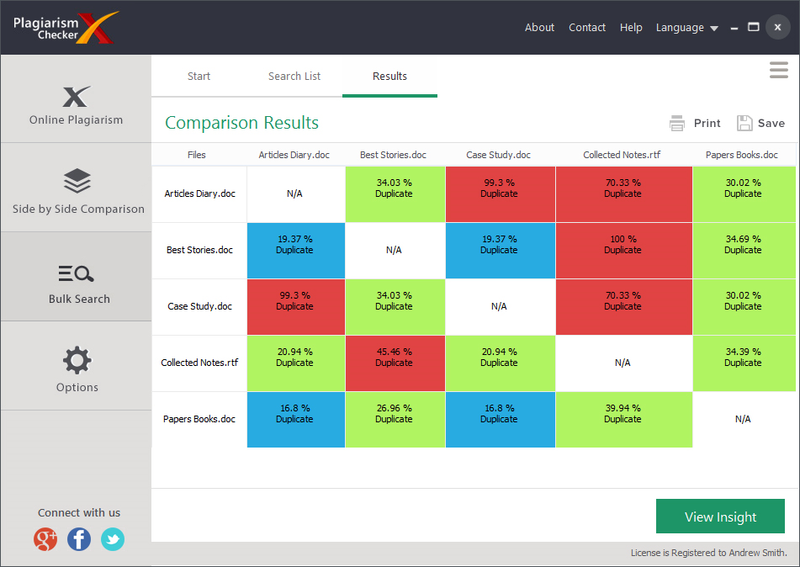 Plagiarism Checker X automates the detection of plagiarism in documents, research papers, blogs, and websites, giving you results in just a few seconds. 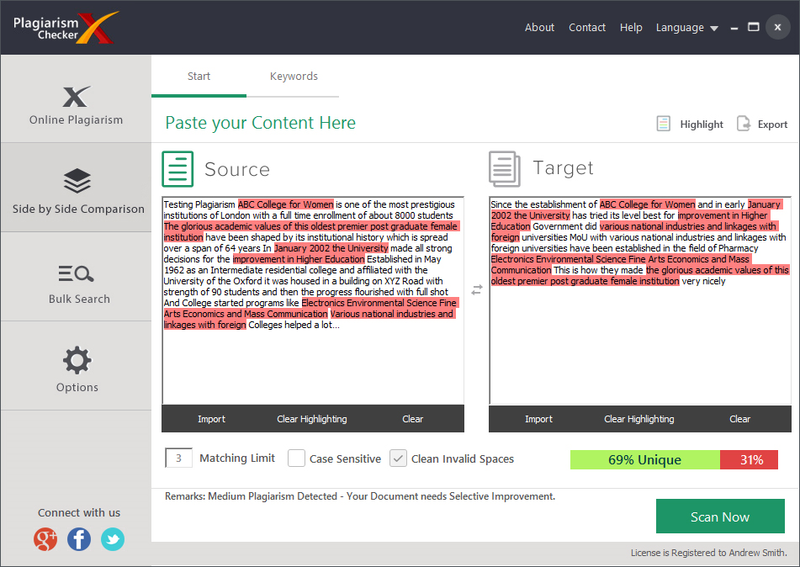 With Plagiarism Checker X, you can fight the growing trend of work that’s just been copied and pasted from a different place on the Internet – it’s not just academic papers, either, because it’s become an all too common problem for popular blogs. 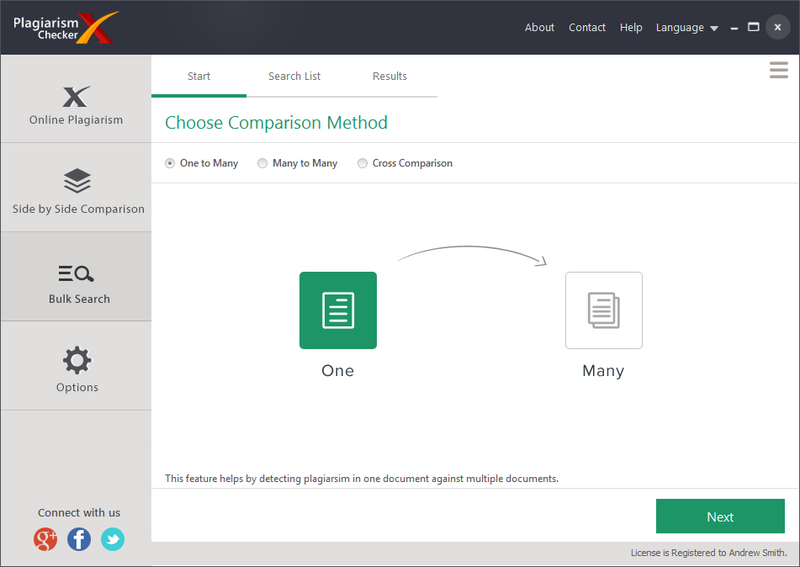 It’s easy to get started with Plagiarism Checker X! 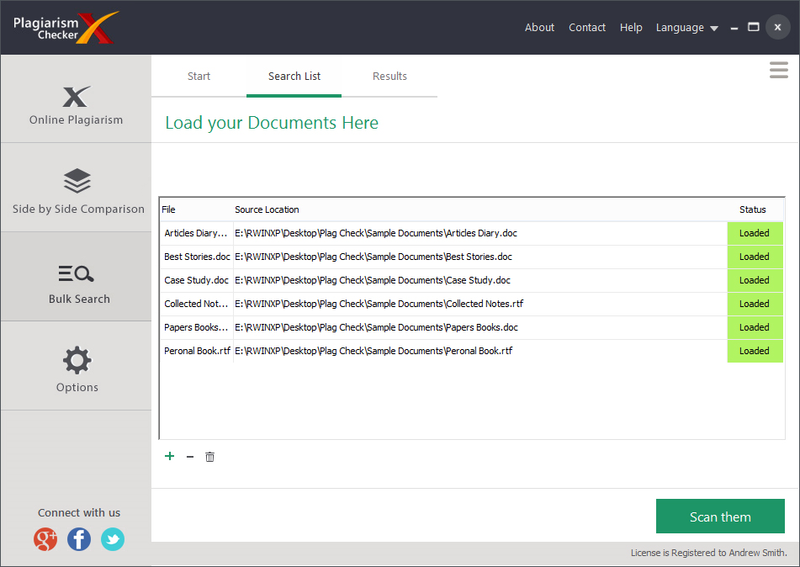 Just paste content or load a document into the program and hit the analyze button, then sit back as Plagiarism Checker X runs every sentence through all of the major search engines. In just seconds, you’ll have a comprehensive report in HTML format that’s complete with offending sentences and their original source. Plagiarism Checker X even color codes the level of offense, from blue and yellow text indicating “mild” cases of plagiarism, to a glaring red that is indicative of pure theft! After you purchase Plagiarism Checker X it may be used indefinitely. Robert Reese Does this app submit information to a service? If so, does that service catalogue it without the ability for the author to decline having it catalogued? Richard Paul @Robert: No it does not cataloged users confidential data. Our Application process all the content within itself without sending it to any online service. So, your data will always remain safe within your device. Maz If buyers didn't upgrade/renew their license after 12 months, will they still be able to use this software? How much is the renew fee? Richard Paul @Maz - Yes, They will still able to use the software, even if they don't buy the upgrades. renew fee depending upon the release but it is always very minimal. Jim Shewchuk While search engines still allow this software to find plagiarized content, the many re-posted pages out there result in this firm's claim of finding the "original source" becoming only wishful thinking. It can find *an instance*, but without more data than the engines provide, it cannot determine which of multiple hits is the *original*. It also depends upon the "sources" being sites that are indexed by the search engines. It doesn't take much effort for a web site to stay off them. Eugene Nezhivoy Nice app, but does it support searching for plagiarism in Russian? Jim Shewchuk Eugene, Searching for non-English languages is possible in theory because the search engines do index them, but this software's results would depend upon a decision the programmers made when writing this software. If the programmers had the foresight to enable "Unicode character encoding" (to save time, many unfortunately don't), and submitted to the search engines in "UTF-8" format text, yes it would succeed. Roger Rines Tried to install Plagiarism Checker X software. Setup process generated and displayed a Log file with 3405 lines of information that left me thinking all is not well. No Icon appears anywhere on the Desktop, Installed software list under the Windows button or in the Control Panel's Installed Software list. Message sent to support. Waiting for reply. If this can work as presented, I'll take a copy at BitDuJour's displayed price. 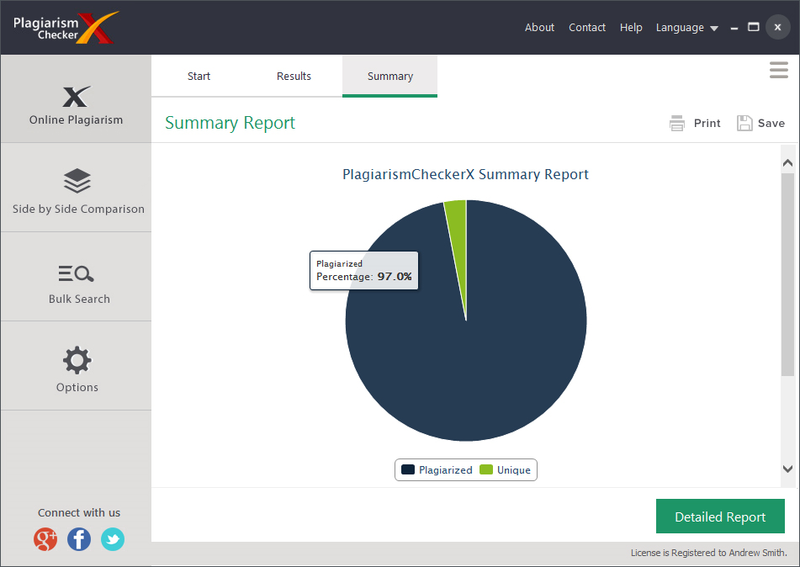 Roger Rines Tried again to install Plagiarism Checker X software and once again it failed. What is worse, is the lack of response to last month's installation failure. Should I assume support isn't provided with the software? Is there a version where we can install on our institutions webpage for internal team to use? Solomon User Is there a Plagiarism Checker X Software version that can be installed on our institution's webpage for internal use? E. Douglas Jensen There's no mention of Windows 10. Turion Dolby Hi, when I click the "Get this deal" button, the price I see is $29.95. 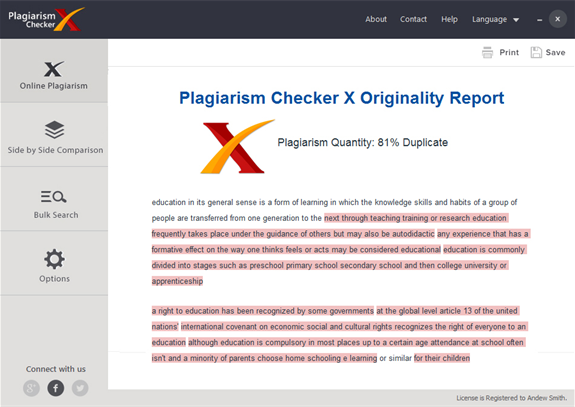 On Plagiarism Checker X website, the Pro version is for $49.95. Is this deal for the SAME product and license advertised on Plagiarism Checker X website? Constantin Florea @Turion Dolby, Yes, it is the same product. Turion Dolby @Constantin Florea Thanks. I've downloaded and installed on WIndows 10 64 bit (OS build 14393.576) but when I try to run the program, it says "File not found". I'd like to try out what I'm buying as this is a really good deal! Generate Superior Crosswords, Sudoku, and Word Searches!